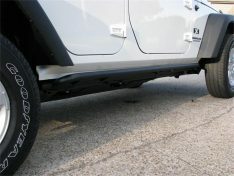 Rocker panels are located along the sides of the vehicle between front and rear wheel well openings, just below the doors. 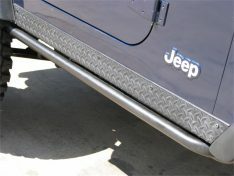 In fact, you lift your feet over them every time you enter and exit your vehicle. 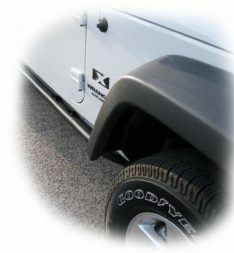 Aside from roof supports, they are the only part of the frame connecting the front and rear of your vehicle. 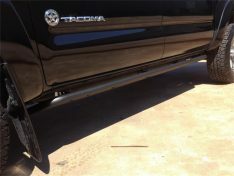 Crossed Industries Offers Rocker Guards and Replacement Panels by: Bushwacker, Lund, MBRP, N-Fab, and WARN.